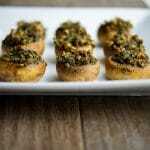 Basil Pecan Pesto Stuffed Mushrooms make a nice addition to your holiday table or game day snacking. They’re also gluten-free! 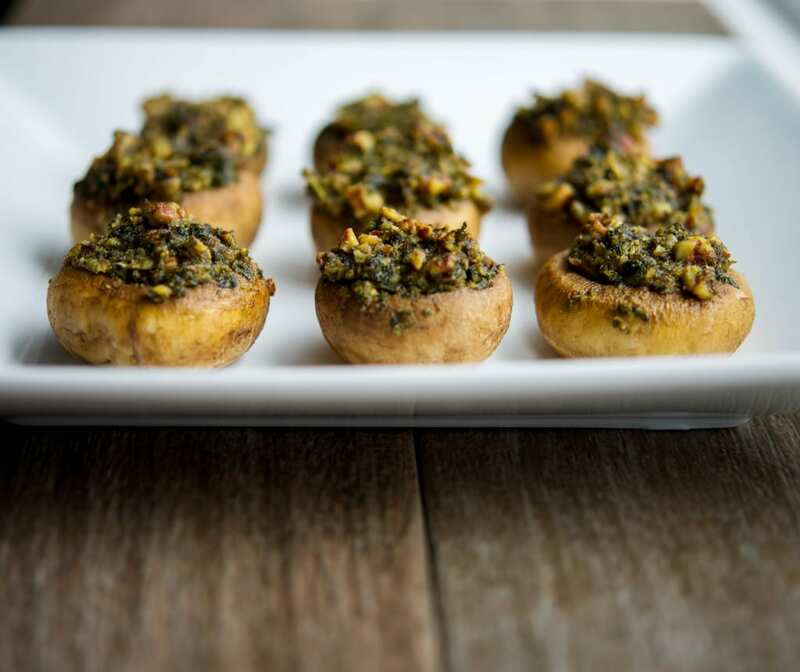 If you like mushrooms, especially stuffed, like we do then you have to try these Basil Pecan Pesto Stuffed Mushrooms. Oh my goodness, these were phenomenal! These stuffed mushrooms are low in cholesterol and sodium and high in iron, niacin, riboflavin, and B6. All that and they’re only 41 calories each…BONUS! To make these mushrooms you’ll need white button mushrooms, pecans, fresh basil, garlic, grated Pecorino Romano cheese and extra virgin olive oil. Combine all but the mushrooms in a mini food processor and blend until smooth; then stuff the mushroom caps. Bake in a 425 degree F oven for about 15 minutes or until the mushrooms start to soften. The flavor combination of fresh basil and pecans really gave these Basil Pecan Pesto Stuffed Mushrooms an exquisite taste. ~Enjoy! 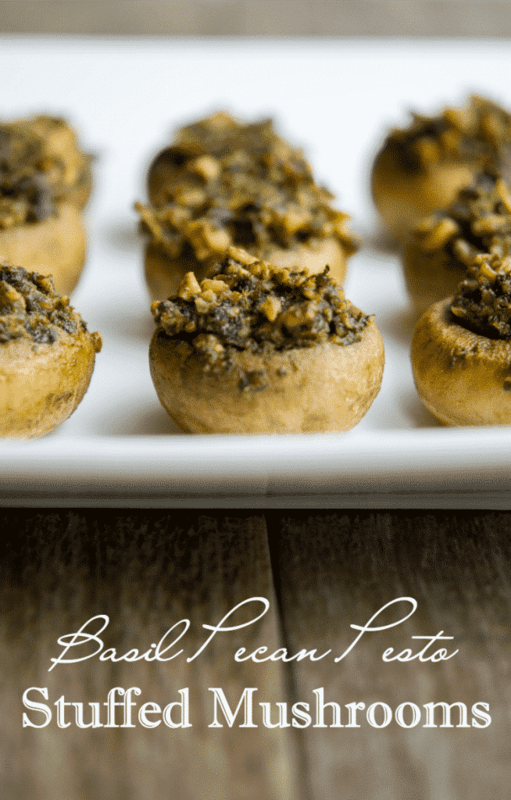 Basil Pecan Pesto Stuffed Mushrooms make a nice addition to your holiday table or game day snacking. They're also gluten-free! Wipe off mushrooms off with a damp cloth and remove the stems; then set them on a baking sheet. Add the pecans, basil and cheese to your food processor and pulse until the contents are fine; then add the oil and pulse again until the mixture forms together. Stuff each mushroom cap with the pesto mixture; then spray the tops with cooking spray. Calories 41, Fat 3.9g, Carbohydrates 1.1g, Fiber .4g, Sugar .5g, Protein 1.1g *Nutritional information provided by Calorie Count and may not be 100% accurate.